Central Bank governor will tell the committee that there is a clear lack of a consumer-centred culture in Irish lending institutions. THE CENTRAL BANK has identified an additional cohort of people who have been impacted by the tracker mortgage scandal. As of 31 August, 38,400 customers had been identified as having been affected by the scandal, an increase of 1,300 since March when 37,100 customers had been identified. The updated figures will be presented to the Oireachtas Finance Committee today by Central Bank Governor Philip Lane, who is expected to tell TDs that the bank would welcome government legislation to ensure senior executives do not escape accountability for wrongdoing. The tracker mortgage scandal saw banking customers being overcharged by their lenders when they were either denied a tracker rate they were entitled to, or charged the wrong rate of interest on their mortgage. To date, €580 million in redress and compensation has been paid out by Irish lenders, an increase of €121 million since May. 93% of those affected by the scandal have now been offered compensation, according to the Central Bank. Central Bank Governor Philip Lane is expected to tell the Oireachtas Finance Committee today that four of the five main lenders are close to completing their redress and compensation phases, with the Central Bank expected to exert “significant pressure” on the remaining lender to finish its process. 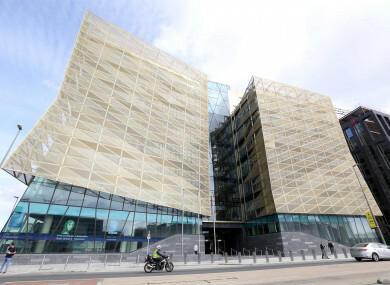 Lane is expected to tell the committee that the review – which is the “largest, most complex and significant customer protection review” the Central Bank has undertaken to date – has “exposed a clear lack of a consumer-centred culture in lenders”. We found some banks adopted a narrowly legalistic approach in conducting the examination rather than embracing a customer-focused perspective, with some offering initial compensation proposals that fell well short of our expectations. While such issues were addressed through the examination, they raised serious questions about the current – and not just historic – culture in the banks. Lane will tell TDs that while the numbers involved give a sense of the scale of the Central Bank’s review, statistics cannot give the full picture of the “detrimental, and in some cases, devastating effect that the failures of lenders have had on customers, up to and including the loss of homes and properties”. The review into the tracker mortgage scandal led to Lane commissioning a culture report into the Irish banking system. It assessed the current culture at the five retail banks: AIB, Bank of Ireland, Permanent TSB, Ulster Bank and KBC. In summary, the report finds that banking system still falls short in terms of embedding a truly consumer-focused culture. He adds that while all five banks are working to embed a consumer-focused culture, some are more advanced than others. To give a flavour of such patterns, Lane said the review uncovered executives continuing to operate in a “firefighting” mode remnant of the crisis. “We saw too much focus on short-term and legacy issues, with insufficient attention paid to consumer interests. We discovered some reversion to ‘command and control’ in leadership styles. Additionally, the banks have much more work to do to ensure their organisations are sufficiently diverse and inclusive, particularly at senior level, to prevent groupthink, guard against over-confidence and promote internal challenge,” states Lane. The culture report recommends the introduction of a new Individual Accountability Framework, to apply to banks and other regulated financial services providers. Such a framework would go significantly beyond the current requirements for bankers and would set conduct standards for staff and ensure clearer lines of accountability within the banks. Lane states the objective of such proposals is to act as a driver to encourage “positive behaviours” and individual responsibility. “Many regulated firms and their leaders behave ethically and honestly, and seek to drive effective cultures. However, where that is not the case, these reforms will constrain the ability of senior executives to escape accountability for wrongdoing. The reforms will require Oireachtas consideration and approval, and we would welcome any questions you may have on our recommendations,” Lane outlines in his statement. Further changes in how the Central Bank supervises the banks are expected, including more intrusive, targeted conduct supervision of banks that pose the greatest potential harm to consumers. The culture report states that a failure to address these issues would “damage banks in the long-term”. “In seeking to do this, it is critical that banks understand the distinction between seeking people’s trust and actually establishing trustworthiness through their culture. If banks wish to restore trust in their organisations, it must be earned,” adds Lane. The committee will also be told that while the current Irish economic environment is positive, there are clear downside risks to the economy. Lane states that Ireland is especially exposed due to the legacy of high public and private sector debt levels and the sensitivity of small and highly open economies to international shocks. Shifts in international trade and tax regimes, such as that being threatened in the US and Britain, could adversely affect Ireland, while a disorderly Brexit “would pose immediate challenges for the Irish economy and financial system”. The potential adverse impact on the Irish economy and Irish financial conditions if any of those scenarios were realised calls for the accumulation of financial and fiscal buffers that would help to limit the damage, warns Lane. In terms of housing, the Central Bank Governor states that its loan-to-value and loan-to-income rules in the mortgage market has helped to avoid the rise in house prices by restricting credit dynamics. He defended the mortgage measures, which some have called to be relaxed, stating that the rules are designed to enhance the resilience of banks and borrowers to negative financial shocks by limiting over-lending by banks and over-borrowing by households. Lane states a review of the measures will be announced in late November. Email “Number affected by tracker mortgage scandal rises - it's now over 38,000”. Feedback on “Number affected by tracker mortgage scandal rises - it's now over 38,000”.